Chad is a Vice President at Cassidy & Associates where he puts his legal background and expertise in defense policy together to help develop effective strategies and deliver real results for clients. Chad joined Cassidy in June 2017 after serving on Capitol Hill since 2011. He most recently served as a senior defense policy aide and counsel to U.S. Sen. Richard Burr (R-NC), and prior to that in similar roles as a military legislative aide to Sen. John Boozman (R-AR) and Congressman Joe Wilson (R-SC). Chad holds the rank of Captain in the U.S. Army, earlier serving as a battalion intelligence officer and company commander and continues to serve as a reservist as an aviation officer rated in the AH-64 Apache helicopter. 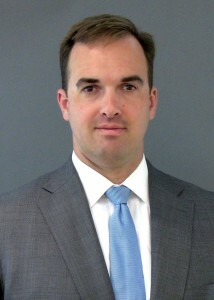 Prior to his active duty service in the Army, Chad was an Assistant District Attorney in Raleigh, NC. Chad is a graduate of North Carolina State University earning a Bachelor of Arts in Political Science and holds a Juris Doctor from Campbell University. He remains a member in good standing of the North Carolina State Bar.